There are many ways to feel warm this winter that don’t involve standing in front of the fire. At Active Furnishers you will find some fantastic ideas for making your home a warmer and cosier place. A distributor of Weathermaster blinds, shutters, and exterior shades, Active Furnishers in Dunedin and Wanaka now has the newest products in stock. Weathermaster hasrecently improved its Whisper Blinds, introducing even higher insulation properties. The 10mm Duettes offer better insulation than double glazing, with a .3 R-Value. The 20mm Duette range spans from .42 R-Value to .52, and the 20mm Architellas range from .6 to .77 R-Value. 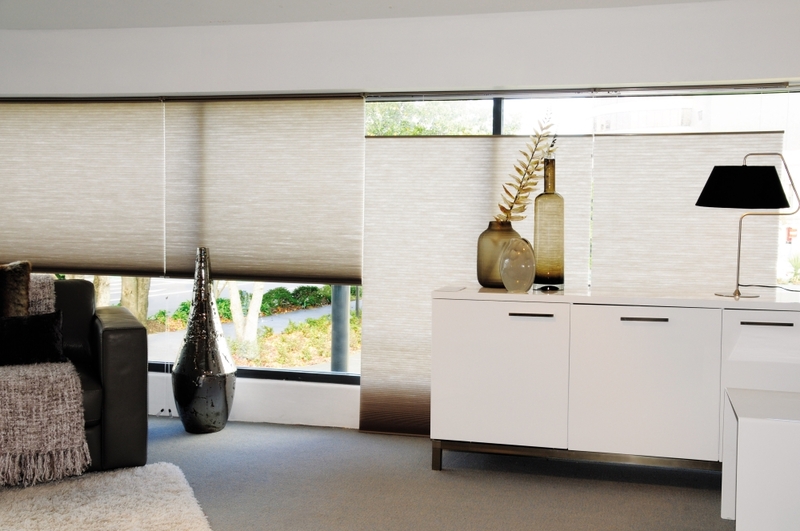 The new-generation Weathermaster blinds only arrived at Active Furnishers last month, perfectly timed for winter. They come in a huge range of colours, and there are various choices for operating systems, including motorised, cordless, and retractable cords. For those living without the benefits of double-glazing during a cold southern winter, Weathermaster blinds can be retrofitted, to make your home a warmer and more welcoming place. Webmaster's Whisper blinds now offer even better insulation properties. Curtains are another speciality of Active Furnishers. They also offer great insulation, and allow you to introduce the latest colour trends. “What’s coming in is always changing and evolving” Fiona says. “There are a lot of warmer rusty, ochre colours at the moment. Although wallpapers don’t physically create warmth, they are great for creating an atmosphere and making a room feel cosier. The wall-sized murals can be scaled for any wall. Active Furnishers offer an amazing range, with a stack of catalogues in store for you to browse through. Recent arrivals include wall-sized murals that can be scaled to work with any wall. Doors and windows are no obstacle, and you can even see a mock-up of what your room will look like. Cushions and other upholstered products are made on-site at Active Furnishers, and you’ll also find a collection of quality homeware and giftware.